One of my favourite things about this amazing career I have been lucky enough to build over the years, is the relationships that come with it. Jodis and James were one of the very first couples I had the pleasure of making a wedding movie for when I first came to Winnipeg. They are the kind of couple that just fit perfectly. The wedding was out in Bird's Hill Park and was just beautiful from start to finish. As so often happens, we became Facebook friends and I kept up with them as they had their first baby (Larson) and the pictures appeared on my timeline. 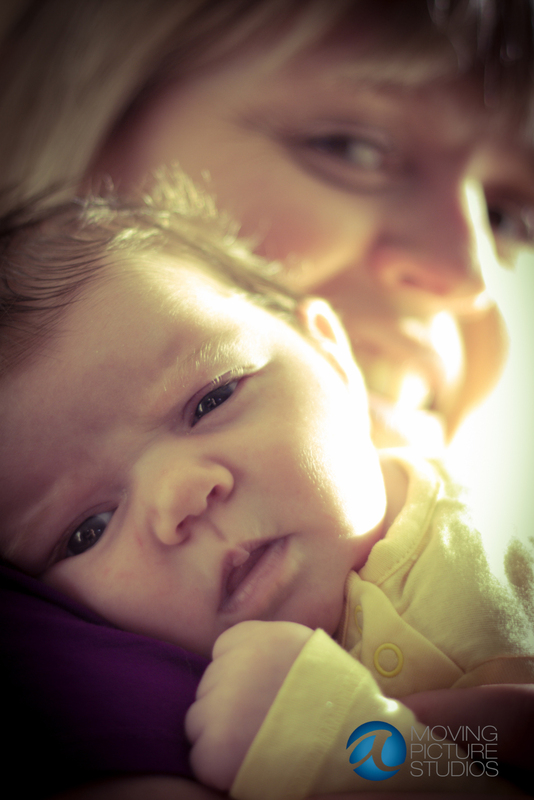 When little Leah arrived and Jodis messaged me about doing a family photo shoot I jumped at the chance! Who knows... maybe Leah will hire A Moving Picture to shoot her wedding celebration in a few years too?